Helen Blank, Director of Child Care at the Children's Defense Fund (CDF), works to expand support for positive early care and education experiences for children, especially low-income children. Ms. Blank led a large-scale, successful effort to pass the first comprehensive federal child care legislation and organizing the Alliance for Better Child Care. She developed a guide for the implementation of the legislation that was used widely by state policymakers and child care leaders. Ms. Blank also provided intensive on-site technical assistance to states, working with them to develop their child care plans for the new federal funds. She proceeded to lead a largely successful campaign to convince the Bush administration to issue regulations for the new program that will allow states to use the new federal funds in a manner that promotes the best interests of children. She also led an effort to improve the child care provision of the welfare act and developed a guide to assist states in implementing the provisions. She has worked for nearly two decades to ensure that the Head Start program was not only expanded to serve more children, but also maintained its focus on community based, high quality, comprehensive services to children. She has authored major studies on state child care policies, as well as co-authored The Child Care Handbook, and Give More Children a Head Start, Working Together for Children: Head Start and Child Care Partnerships, and numerous articles and Papers on child care policies. She has also organized other successful coalitions to expand support for child care. 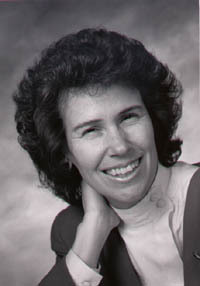 As Director of CDF's children's advocacy network, Ms. Blank developed CDF Reports and Child Watch, a project in collaboration with the Association of Junior Leagues, which monitored the effects of the 1981 budget cutbacks on children and families. Ms. Blank has spearheaded the efforts to improve services for children. At the Child Welfare League of America, she was instrumental in the development of child welfare reform legislation. Working with the National Child Nutrition Project, she directed a model food stamp outreach campaign in the Washington Metropolitan area which not only significantly increased food stamp participation, but also resulted in major improvements in the administration of the program in several local jurisdictions. Ms. Blank helped advocates to replicate this campaign in a number of states. She also developed an effort to create local hunger task forces. Ms. Blank is a member of the Advisory Board of the National Council of the Jewish Women's Center for the Child and the Child Care Food Program Umbrella Sponsors' Steering Committee. Ms. Blank has a Bachelor's Degree from the University of Michigan and a Master's Degree in Urban Planning from Hunter College of the City University of New York. She has two daughters, Liza and Molly.